Exhausted single-mum Miranda is prepared to try anything. Suffering from baffling allergies and illnesses, her teenage daughter Sylvie has been written off by doctors. 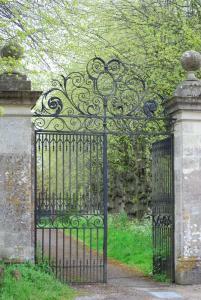 An offer of alternative therapy at a grand Dorset estate may be her daughter’s last hope, as she’s fading fast. And so, against her better judgement, Miranda grabs this life-line. Stonewylde is a beautiful and magical place, a sanctuary free from modern taint. The retreat is very remote, hidden away behind high stone walls and iron gates, and soon the rat-race outside fades to insignificance. Stonewylde is ruled by the charismatic Magus, who vows to cure Sylvie and give both mother and daughter their hearts’ desires. He promises the earth … and it seems he can deliver. Miranda and Sylvie will eventually discover the truth: Stonewylde may cure, but it can also kill. Many readers say that Stonewylde has taken them to a different place altogether, enabling them to forget about mundane reality. It’s the type of story that draws you completely into its world, and this is a world where nature is all-important, where people respect the land and the unseen forces that govern our lives. The series is not fantasy, although fantasy fans would recognise some elements. There’s a circle of standing stones and an ancient village green, a beautiful stately home and a quarry where blood has been spilled far too often. Stonewylde is very dark in places, but ultimately an uplifting experience, and certainly one that will linger. At its heart is a love story and a journey of betrayal and redemption. The setting of Stonewylde is unique, but the themes are universal and strike a chord that resonates in the hearts of many. Read more details of the first book in the series, Magus of Stonewylde here>>>. 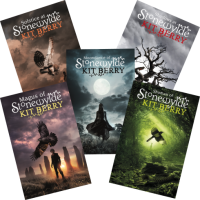 There are five books in the Stonewylde Series. The first three books in the series were originally self-published, and have gained a huge following amongst fans. Word of mouth has spread and there are now readers all over the world. The series was originally intended for young adults but is read by people of all ages – everyone enjoys a good story! After the three self-published books proved to be so successful, the worldwide rights were bought by Orion Books, and have been revised, re-jacketed and re-published by their imprint Gollancz. Any unsold old editions have been removed from sale – so if you have one, hold on to it! Although the series is now published by Gollancz, famous publishers of fantasy and science fiction, Stonewylde doesn’t truly sit in either of these categories. There are some elements of fantasy in the books, but they are also romantic novels, and describe contemporary life in modern England, albeit in an enclosed community. There are many reviews on Amazon which will give you a flavour of the addictiveness of the series. The appeal of Stonewylde and the unfolding story seems to run very deep, perhaps tapping into a universal desire to live more in harmony with nature, and resonating with our love of myth and magic. Stonewylde was originally intended to be just one book for young adults; a simple story about a girl who gets caught up in a weird place in Dorset where someone is out to exploit her. But somewhere along the line, the book grew into a trilogy and the whole emphasis of the story changed, becoming far deeper and darker and dealing with many archetypal struggles and issues. Then my eldest son suggested extending the trilogy to a fourth book as he felt there were unanswered questions. But this wouldn’t have been enough to complete the story. So there are now five books in all, but that’s definitely the end. Anyone who’s read all five will understand why. Self-publishing is difficult – not producing the actual books themselves, but selling them. Back in 2005 I found the hardest part of all was persuading book shops to stock a self-published novel by an unknown author that didn’t comfortably sit in any one genre. Perhaps because of this, the initial readership of Magus of Stonewylde was a very mixed bunch – mostly people who liked the look of the standing stones on the front cover. The original covers were created by a top designer, Rob Walster, of Big Blu Design in Bristol – he took pity on us and produced professional book jackets at a very reduced rate. Once Mr B, my husband, had created a website, I began to receive fan-mail. Apart from enjoying the book, I think many people liked the fact that this was a home-grown venture and they wanted to support us. Sales began to rise as word of mouth worked its magic. Today, there are thousands of Stonewylde fans. They meet up regularly in local groups and once a year, in a big national get-together. Many asked for an official Stonewylde T-shirt, and we’ve now produced several limited edition versions, along with greetings cards depicting the Wheel of the Year. We’ve made Stonewylde button badges, eco-bags, pens and car window stickers. We’ve also registered Stonewylde as a trade-mark, not wanting anyone to exploit loyal readers with shoddy unofficial goods or services. This strange Stonewylde phenomenon isn’t something I’d ever envisaged. I never hoped for this when I first dreamed up the idea of a magical girl becoming entangled within a strange community behind high boundary walls. I never imagined the sheer enthusiasm, passion and loyalty of my readers, and how they’d become so completely hooked on Stonewylde. In this way, the books have changed many people’s lives for the better, because real friendships (and several romances) have been formed through the Stonewylde network. So many fans have written to me, saying how Stonewylde has helped them re-evaluate their lives, reminding them of what really matters. The books have returned them to their real place in the world; reconnecting them with nature and bringing the beauty of the earth, the moon and the seasons closer again. If you’re new to this, you’ll probably be wondering by now what on earth you’re getting yourself into. And you’re right to wonder! Be very careful, because for all of us, Stonewylde is totally addictive.